The following services are provided by Regional Center of Orange County. 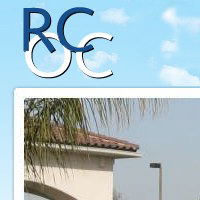 The following are vendors that provide services for Regional Center of Orange County. Search our resource directory for services that might be of interest to you. Our exclusive videos will give you access to the latest mental health news, information on developmental disabilities, tips on resources and much more. Want to read more great content? Then register with us for free. Collective Social Services enables parents to connect with others that have recently been eligible for regional center services. Parents can share their child's diagnosis, treatment, inspirational stories, concerns, resources, and experience with regional centers.